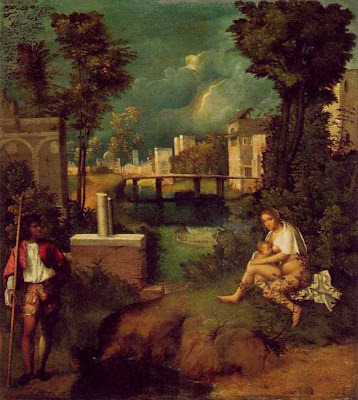 Giorgione’s most famous painting is called the “Tempest” because of the storm that dominates the background. Why did Giorgione use this device? Was it his own invention or did he rely on a motif common during his time? Are there other examples? Three years after Giorgione’s untimely death in 1510, his younger associate Titian, who had worked with him on the fresco cycle on the Fondaco dei Tedeschi received a commission from the Venetian government to paint a battle scene for one of the rooms in the Ducal palace. Here is Carlo Ridolfi’s account from his biography of Titian written in the mid seventeenth century. 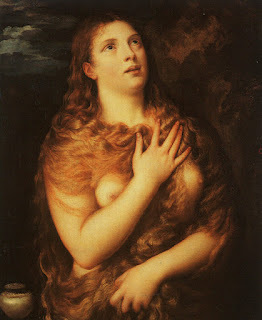 The editors of a modern translation of Ridolfi note that Titian’s painting was begun between 1513 and 1516 but that it was only completed in 1537-8. 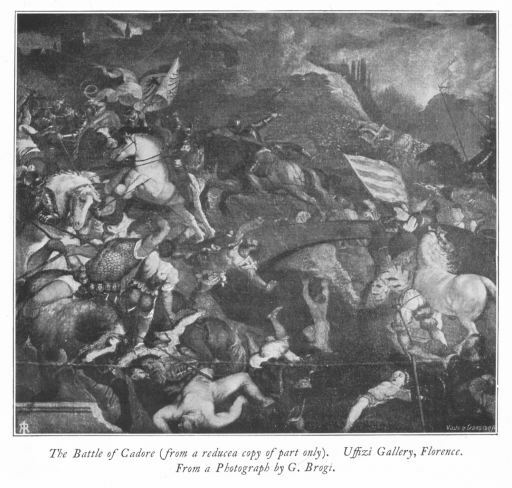 The also point out that the painting was destroyed by fire in 1577 and that Ridolfi was confused about the subject, since the battle depicted was a legendary battle of Spoleto in which Venetian forces did not take part. Nevertheless, either the painting was described to Ridolfi or he saw an engraving made before the fire. 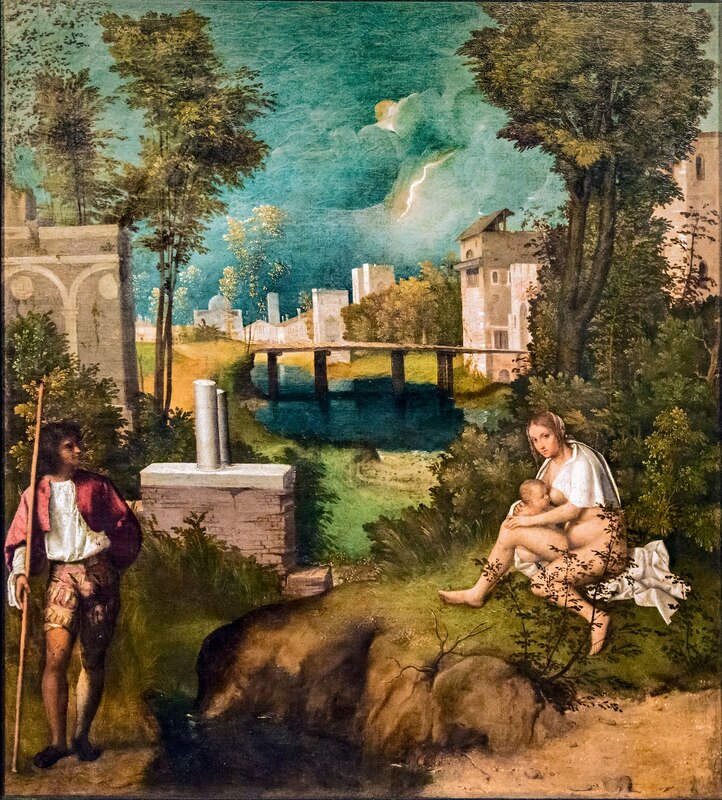 Despite the confusion about the subject, there seems no reason to doubt that shortly after Giorgione’s death Titian used a storm and a bolt of lightning to indicate a scene of violent death and destruction taking place below. Joachim Patenier was another contemporary of Giorgione. In one of his many versions of the “Rest on the Flight into Egypt”, now in the Prado and dated around 1515, Patenier painted a storm in the left background above the city from which the Holy family had fled. The narrative follows their route since we see the legendary wheat field in the right mid-ground. The field is bathed in light and the sky above is blue with a couple of white clouds. The Madonna and Child sit in the foreground also bathed in bright sunlight. The stormy clouds in the background above the city indicate another scene of death and destruction. This time it is not a battle but the Massacre of the Holy Innocents. 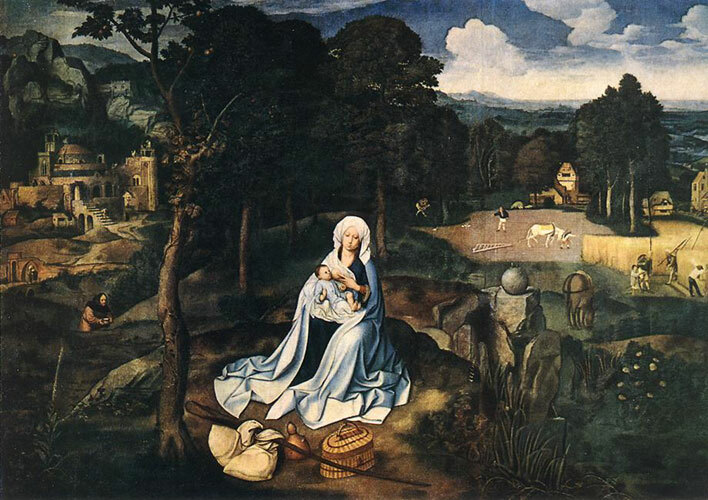 It was not uncommon to see some reference to the Massacre in versions of the flight into Egypt. Once again dark clouds interspersed with lightning cover a scene of death and destruction. Could Tintoretto have been aware of Aretino’s description? Aretino’s popular religious work was written twenty five years after the death of Giorgione but the origins of his imagery can be found much earlier. In 1538 Aretino quarreled with Niccolo Franco, one of his many hangers on, and threw him out of his house. In his biography of Aretino James Cleugh printed Franco’s letter justifying his behavior. 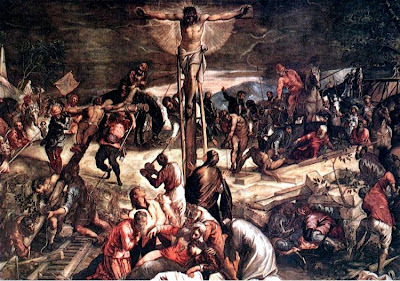 It would appear that many of the details in Aretino’s “Humanity of Christ” came from earlier but now forgotten popular religious works. In each of these three examples a storm signals a tragedy going on below. I have argued that in the “Tempest” Giorgione's painted a version of the “Rest on the Flight into Egypt” where he used the storm and lightning for much the same purpose. Just as in Patinier’s painting Giorgione's Madonna and Child rest in bright sunlight while the storm rages over the city of Bethlehem in the background. Moreover, in my interpretation I agreed with those who had argued that the city in the background of Giorgione’s painting could also be Padua during the War of the League of Cambrai. In 1509 Padua had been lost, retaken, but then besieged by Imperial forces over the summer. The storm of war was indeed over the city. Scholars should consider looking for the source of the storm not in antiquity or humanist tracts but in popular vernacular religious stories. They might also consider the theatrical performances so popular in Italy during this time. One can only imagine what special effects they might have used in celebrations of the Adoration of the Magi, or the Massacre of the Innocents. *Ridolfi, Carlo: The Life of Titian, edited by Julia Conaway Bondanella and Peter Bondanella, Bruce Cole, and Jody Robin Shiffman, Penn State, 1996, p. 75.This biography of Titian was part of a larger work, “Le Maraviglie dell’arte ovvero le vite degli illustri pittori veneti e dello stato,” originally printed in 1648. **Quoted in Cleugh, James: The Divine Aretino, NY, 1966, p. 196-7. # Cartwright, Julia, Isabella D’Este, Marchioness of Mantua, 1474-1539, London, 1932, v.1, p. 251. Here is just a brief post to direct readers to a wonderful exposition of Duccio's Maesta that David Orme has put up recently on his website at art threads. 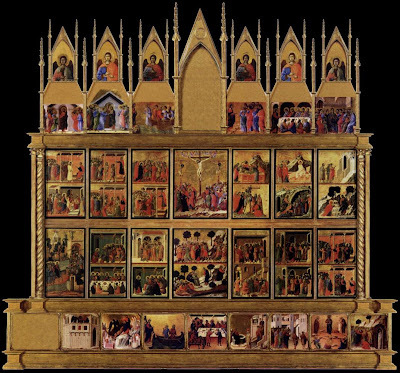 Just click on the Duccio section and you will be able to scroll through all the panels on both the front and rear of the famed altarpiece. 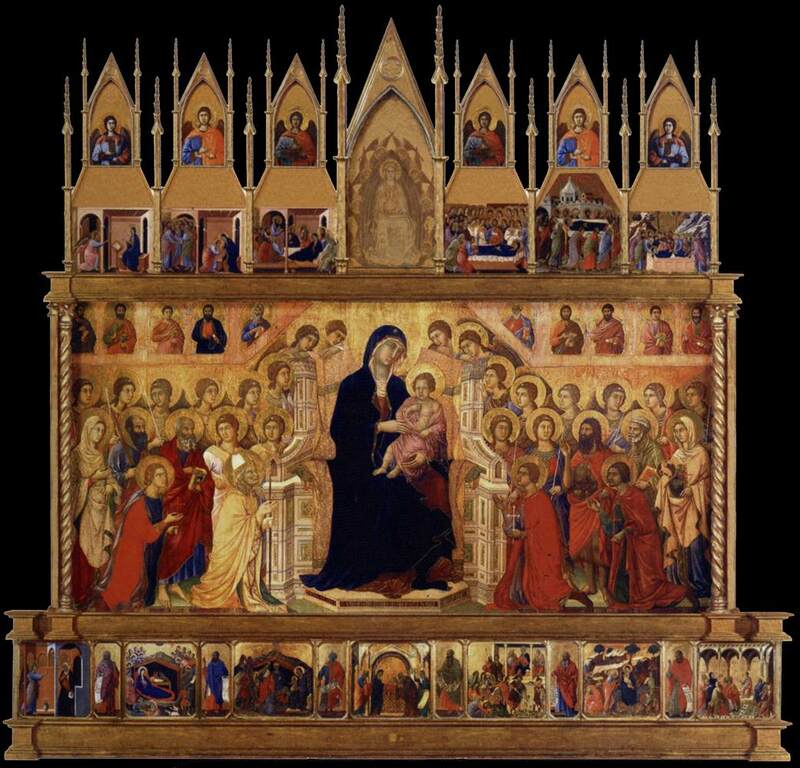 In addition to the depiction of the Madonna and Child, the front panels depict scenes from the life of Mary. 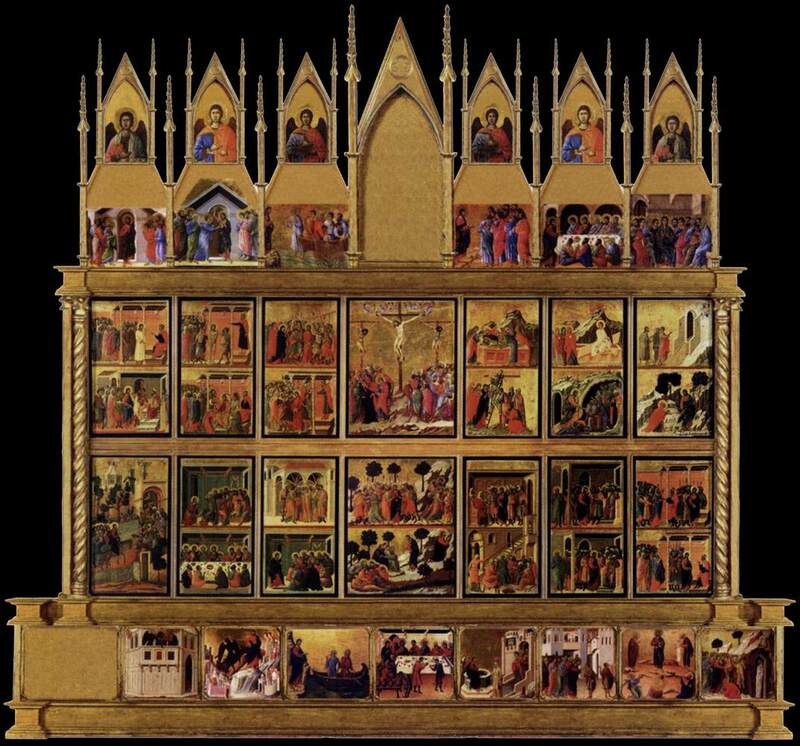 The focus of the rear is the Passion and Death of Christ with panels depicting scenes from the life of Christ with emphasis on the Passion narrative. David, a professed agnostic with a love for Italy and its art, has provided the relevant scriptural passages as well as brief comments. 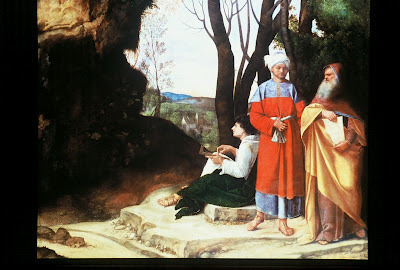 This site is devoted to Giorgione and the Venetian Renaissance but I couldn't resist the opportunity to draw attention to David's work on Siena's famous Maesta, an altarpiece that I now see ranks right up there with Giotto's work in Padua's Scrovegni chapel. I am not ashamed to admit that I have used the writings of Anna Jameson, a now neglected nineteenth century English writer on Renaissance art, in my studies of Giorgione and Titian. First of all, I love the vivacity of her style. Here she is deploring the varied attempts to depict Mary Magdalen. This passage also illustrates the depth and breadth of her knowledge. Mrs. Jameson was an Englishwoman whose life resembled that of a character from a Jane Austen novel. Her father was an educated man but of no great means. She made a bad marriage that quickly fell apart, and had to turn to writing to support herself. She had a great interest in the art of the Renaissance and fortunately somehow managed to travel extensively on the Continent. She insisted that the legends were “an intense expression of the inner life of the Middle Ages”…”and that the art of the renaissance could not be properly understood without them.” (2) She bemoaned the prejudice of her own time. She also criticized the art dealers and collectors of her time, and, I suppose, our time. The very manner in which the names of the painters were pedantically used instead of the name of the subject is indicative of this factitious feeling; the only question at issue was, whether such a picture was a genuine “Raphael”? 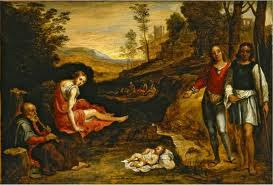 such another a genuine “Titian”? The spirit of the work—whether that was genuine; how far it was influenced by the faith and the condition of the age which produced it; whether the conception was properly characteristic, and of what it was characteristic—of the subject? or of the school? or of the time?—whether the treatment corresponded to the idea within our own souls, or was modified by the individuality of the artist, or by the received conventionalisms of all kinds? –these are questions which had not then occurred to any one; and I am not sure that we are much wiser even now; yet,… how can we do common justice to the artist, unless we can bring his work to the test of truth? And how can we do this, unless we know what to look for, what was intended as to incident, expression, character? Today most scholars are unaware of Mrs. Jameson and her work, or think it is hopelessly outdated. As a result most graduate students have never heard her name. Fortunately, I believe that online versions are now available. A reader has informed me that reprints of her books can be found here. *Anna Brownell Jameson, Sacred and Legendary Art. V. 1, Boston, 1895, pp. 352-3. Unless otherwise noted all references are to this volume with page numbers in parentheses.